Book Raffles! | Primary Planet! One of my very favorite parts of teaching is reading aloud to the kiddos. I always try to pick a story that moves me as well as them. I have a really awesome group of "story kiddos" this year. No matter how they behave the rest of the day, they are good as gold when I read a story! That being said, I read a lot! The kiddos always want the book that I have read. I used to just give it to the first kiddo who asked, but then it became the same 2 all the time. Then, along came Pinterest! I read that someone (if it was you let me know!) 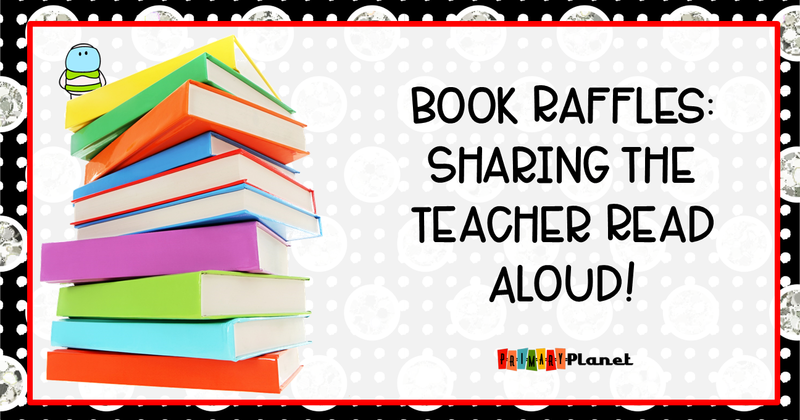 Who did "Book Raffles" with their kiddos! There are several ways that you can do this. I use craft sticks with their kiddos numbers on them (that way I can reuse them every year). These are in a specially made "stick picker" can that I made out of two Crystal Light Containers. 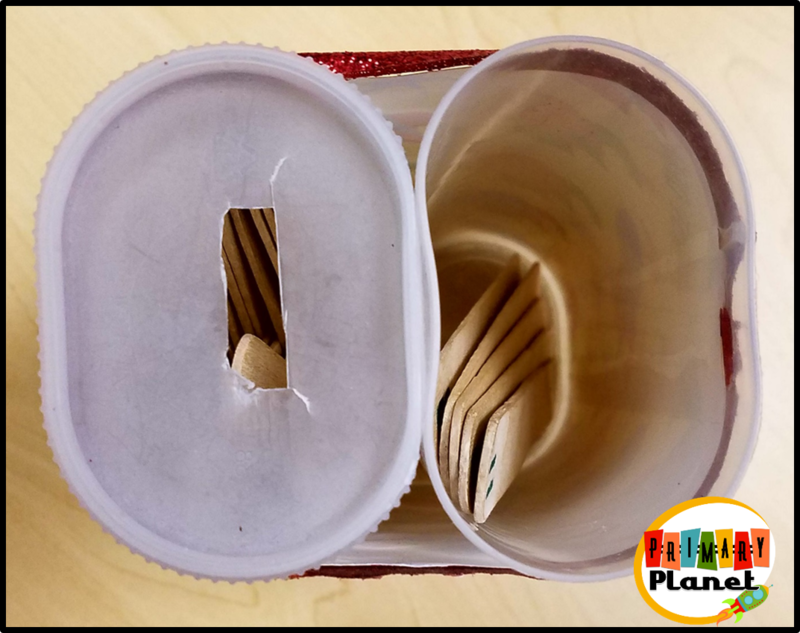 They are glued together and a slit is put in one lid. I put the lid on one can, and all of the sticks (with the kiddos numbers on them) in the other. I choose a stick and let that kiddo choose whether they would like that book for their book box or not. If they choose to hang on to it, their stick goes into the side with the lid. When the side with the lid is full, I put the lid on the other container and start over! 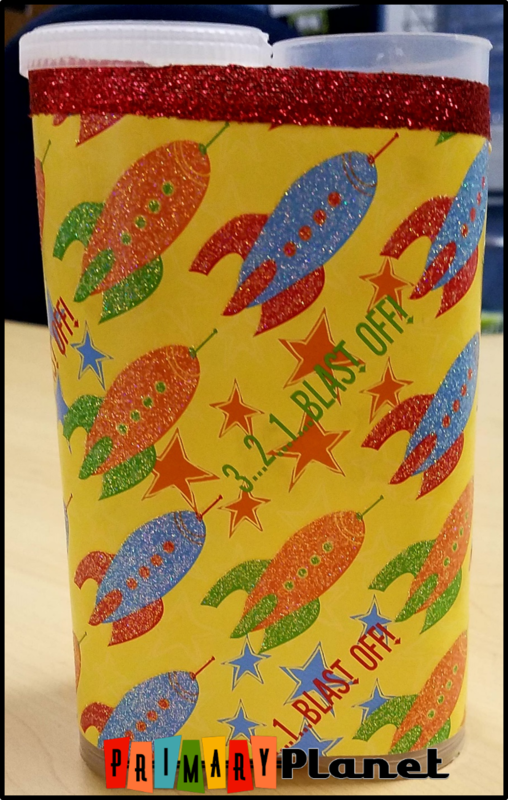 I also have another can that I use for picking students to answer questions but could be used for book raffles as well. 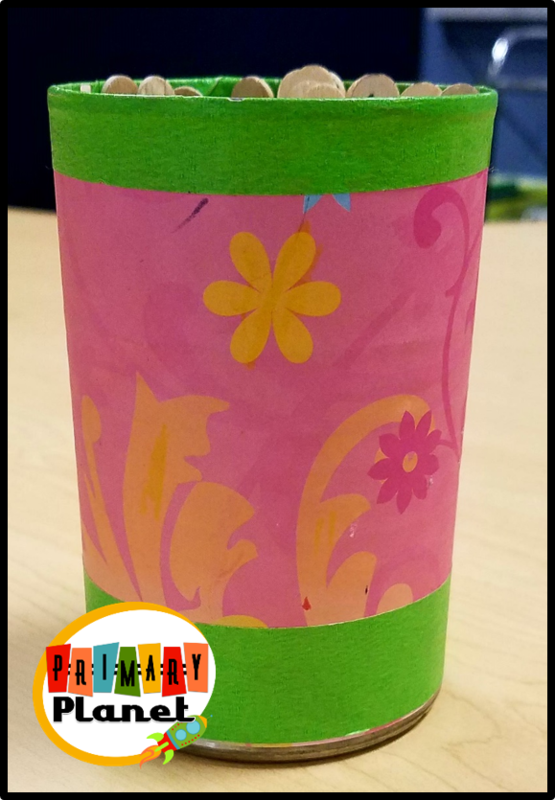 It is a simple soup can that I have covered with paper and tape to make it pretty. Inside the can is a dixie cup. The sticks all start in the dixie cup. 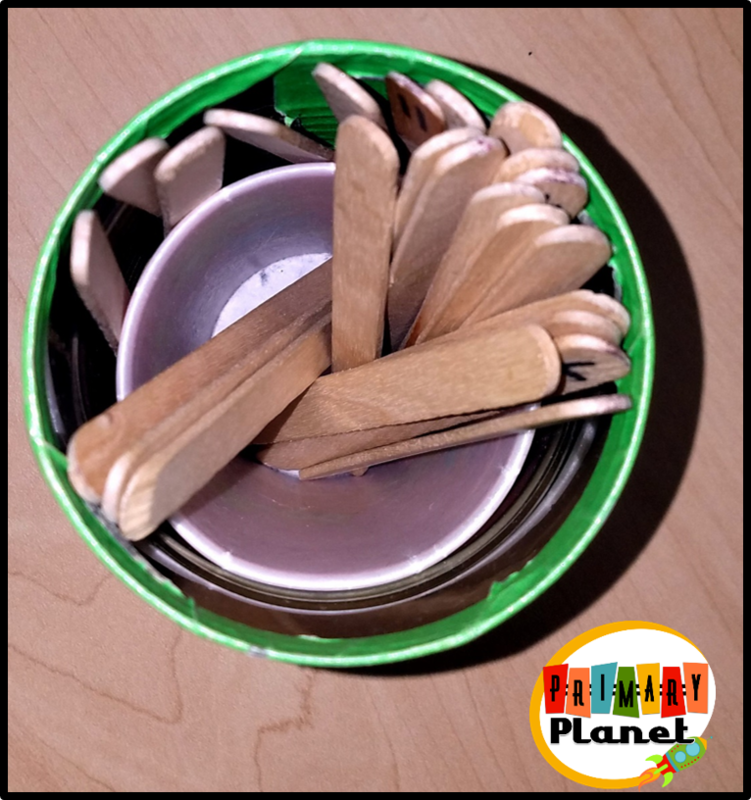 When you choose a stick, that stick goes back in on the outside of the dixie cup. This way is a little sneakier. There are times when a kiddo would rather not have that particular book, so they say "No Thank You" and their stick goes back in for another time. The kiddos love this system and get really excited to "win" the read aloud! If it is really popular when they are done they return the book to the marker rail on the front board for others to have a turn. It works really well and my read aloud gets shared and used. If the read aloud is one of my teaching books, it is labeled with a special sticker on the back so when the kiddos are done with it, they return it to me. 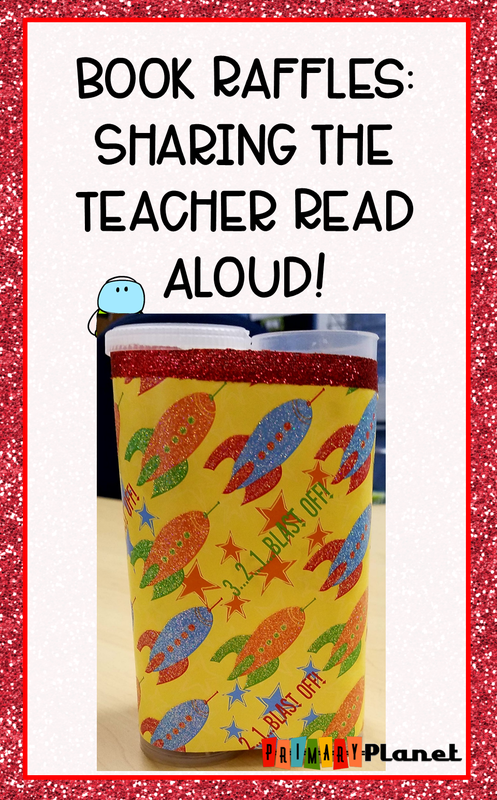 Do you share your read alouds? How do you do it? 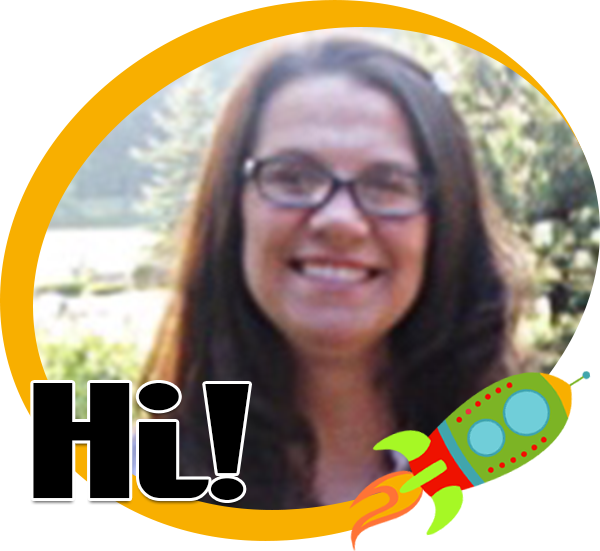 Don't miss out on any great ideas or freebies! 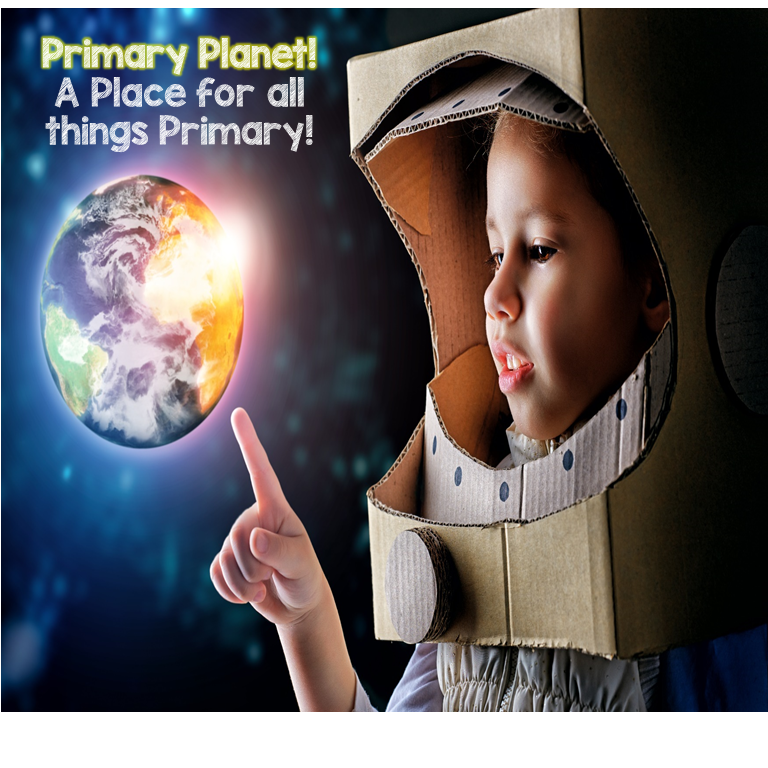 Join my newsletter to keep up with everything that goes on at Primary Planet!